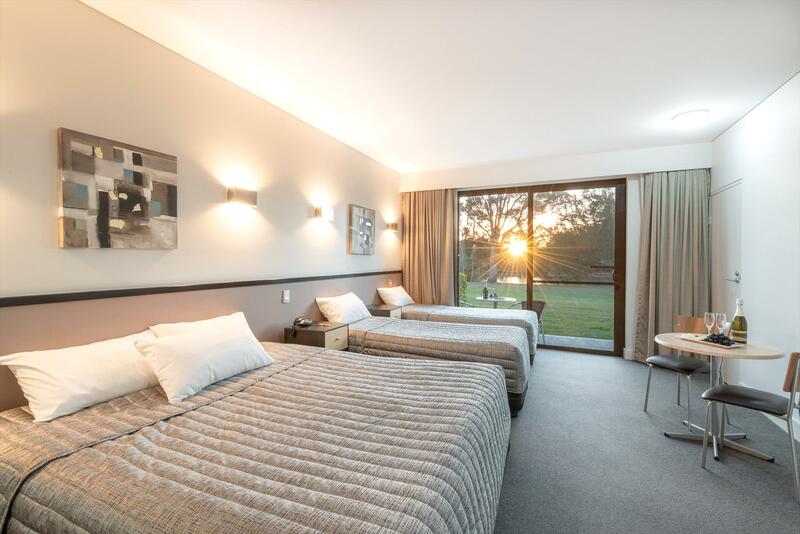 Located on the northern tip of Lake Macquarie and just minutes away from shopping, leisure and sporting precincts, Macquarie 4 Star is the ideal hub for your next business, social or sporting getaway. Offering a range of room types to suit every traveller, including views of tranquil Cockle Creek, our experienced staff can tailor a package to suit your individual needs. Macquarie 4 Star guests will also enjoy full access to all facilities contained within Club Macquarie via a secured covered walkway. Macquarie 4 Star offers guests the choice of 36 beautifully appointed rooms, including 14 with spa baths & water views. All guest rooms offer private balconies, ensuite bathroom, large flat screen TV's with complimentary Foxtel and Free Wireless Internet. All guest rooms are non smoking. 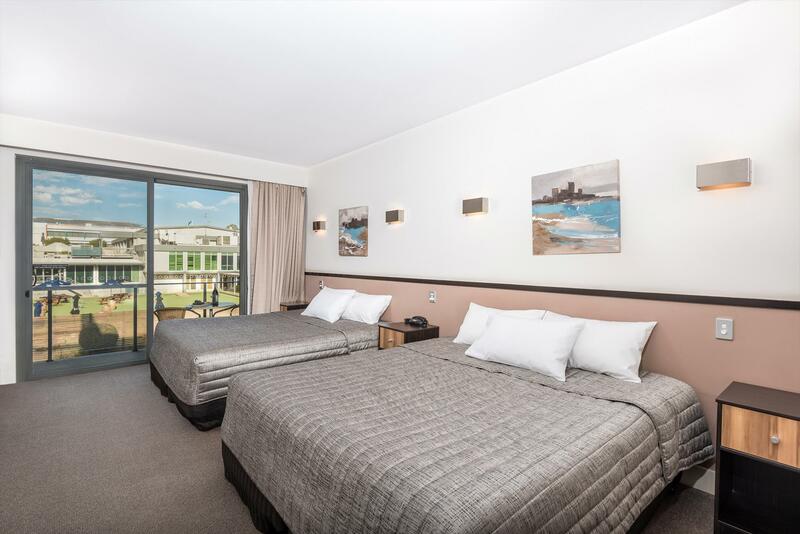 Park the car, settle into your room, then take the fully enclosed walkway directly to Club Macquarie which features Bar/lounge areas, Brasserie, Free Children's games area, Large LCD screens throughout the Club, outdoor Courtyard and Free access to Bowling Green. When you have enjoyed all Club Macquarie has to offer, simply walk back to Macquarie 4 Star to relax in your deluxe accommodation. Sunday: 8am -11.30am & 3.30pm - 8pm. follow signs to Cardiff / Glendale, continue along Main Road, follow through traffic lights and turn right into Frederick Street, continue through to large roundabout and turn right onto Lake Road, continue about 2kms then turn right into Club Macquarie. The Macquarie 4 Star is located at the rear of Club. All reservations booked online must be paid in full at time of booking. American Express incurs a 3.05% surcharge. Direct motel reservations require a $50.00 non-refundable deposit at the time of booking. Full payment is required 7 days prior to arrival – this will be automatically deducted from the credit card given at the time of booking unless otherwise arranged. Rates quoted are based on the selected dates number of occupants length of stay and chosen rate plan. Any alterations to these details may affect the nightly rate charged. Room cannot exceed maximum guest capacity. Extra guest charges at $30 per person per night. Cots are not available in Silver Rooms. Cancellations - All cancellations and amendments must be lodged 48 hours prior to arrival date and time of 2:00 p.m. Failure to cancel or amend reservations prior to this time will result in one nights accommodation being charged to the credit card used to guarantee the reservation. A $50.00 cancellation fee will apply to all bookings cancelled outside 48hours. Check in - Upon arrival each guest will be required to sign a registration form and accept the terms and conditions therein for his/her stay. A $50.00 pre-authorisation on a credit card will be required for all accommodation and ancillary costs charged to the room after check in and for any loss or damage to the room during the stay. This pre-authorisation will be held by the hotel until such time as settlement by the same card occurs and/or per the card holders’ institution policy. Check-in time is 2pm unless otherwise arranged with the property and checkout is 10am. Cash payers: For travellers without a valid credit card photo ID will be requested and a $200.00 cash bond will be required for incidentals. Guests must be at least 18 years of age to make a booking and check in.